New Brand Collaboration Manager – brands and creators, register your interest! Earlier today, Instagram announced it reached one billion monthly active users. And, the much-awaited big news is that Instagram now has a standalone video app for watching long-form vertical video, simply called IGTV. The app will be accessible via a tab inside the flagship Instagram app as well. Today we announced two exciting things: (1) we just crossed 1 billion monthly actives on Instagram and (2) the launch of IGTV, our latest product. IGTV is video, re-imagined for mobile; long-form vertical video from the creators you love. While all these creators are on Instagram, they’ve yet to be able to share longer videos with their fans on IG. Today that changes with IGTV. We’re excited to make this available to all one billion of you! IGTV will be rolling out globally over the next few weeks on Android and iOS. To celebrate Instagram’s new IGTV Video App and Facebook’s New Video Tools for Creators just launched, I’m teaming up with my friends at Wave.video to launch a fun video contest! Using Wave.video, you can easily repurpose your videos into 15-20 second Story format and 15 second – 10 minute vertical format for Instagram’s new IGTV!! To enter for a chance to win fabulous prizes, just go to this Facebook post and leave a comment. Ideally, answer this question in the comments on the post: What is your #1 challenge with creating video content? Wave.video is an amazing video creation tool with over 200 million premium assets (photos and video clips) + create multiple video formats at once. All friends of Mari Smith can get 30% off any annual plan at www.wave.video – use code WXA_30SMITH. This contest is open to all through midnight Pacific time on July 1st, 2018. How to enter: ALL comments on THIS Facebook post constitute an entry. Ideally, answer this question on the Facebook Post: What is your #1 challenge with creating video content? Five winners’ names will be drawn at random and winners will be contacted on July 2nd, 2018. All federal, state, and local laws and regulations apply. This promotion is in no way sponsored, endorsed, administered by or associated with Facebook or Instagram. 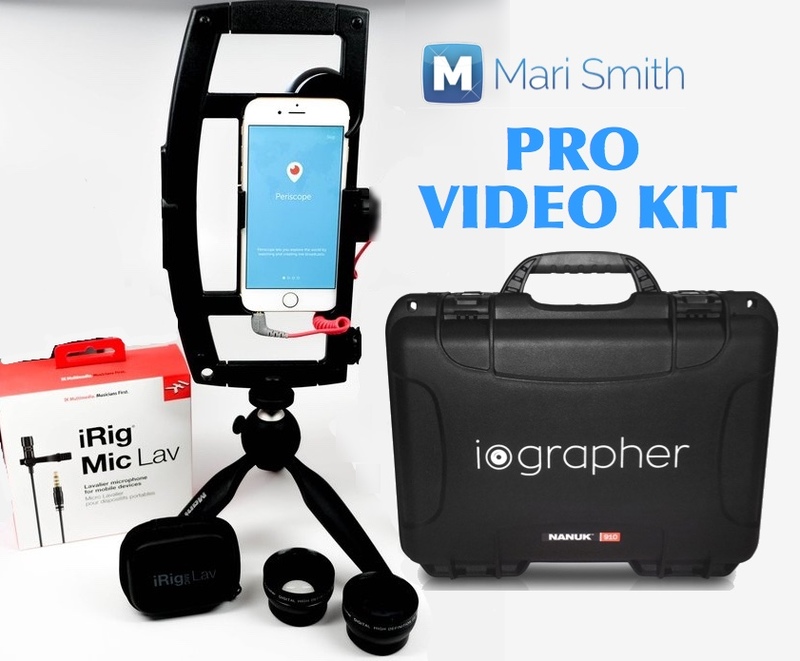 This contest is brought to you by Wave.video and Mari Smith International, Inc. The post Facebook And Instagram Video Updates, New Video Contest To Celebrate appeared first on MariSmith.com.